At least 12 people and one Ventura County Sheriff’s deputy have died in a mass shooting that took place at Borderline Bar and Grill in Thousand Oaks late Nov. 7, according to the Ventura County Sheriff’s Office. According to Geoff Dean of Ventura County Sheriff’s Office, 11 people and the gunman were reported to be dead when authorities arrived on the scene at 11:22 p.m.
Ventura County Fire Department Captain Steve Kaufman said 21 people self-transported to the hospital and over 100 personnel responded to the scene. Borderline promoter and California Lutheran University alum Justin Meek, brother of junior Victoria Rose Meek, has died, according to Cal Lutheran President Chris Kimball. Authorities have identified the gunman as a 29-year-old male who used a .45 caliber handgun. 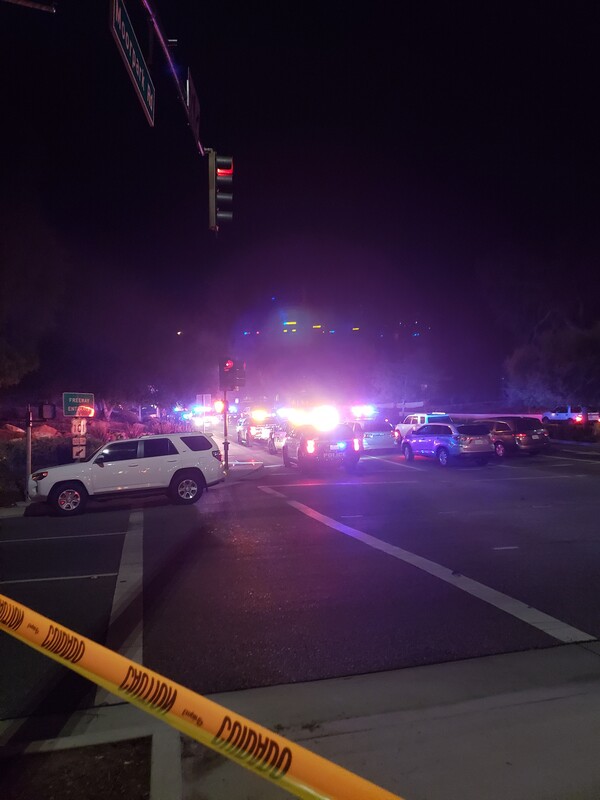 At approximately 11:20 p.m. Nov. 7, the Ventura County Sheriff’s Office received “multiple 911 calls” from people saying shots were being fired inside the club on the south end of Moorpark Rd, Dean said. 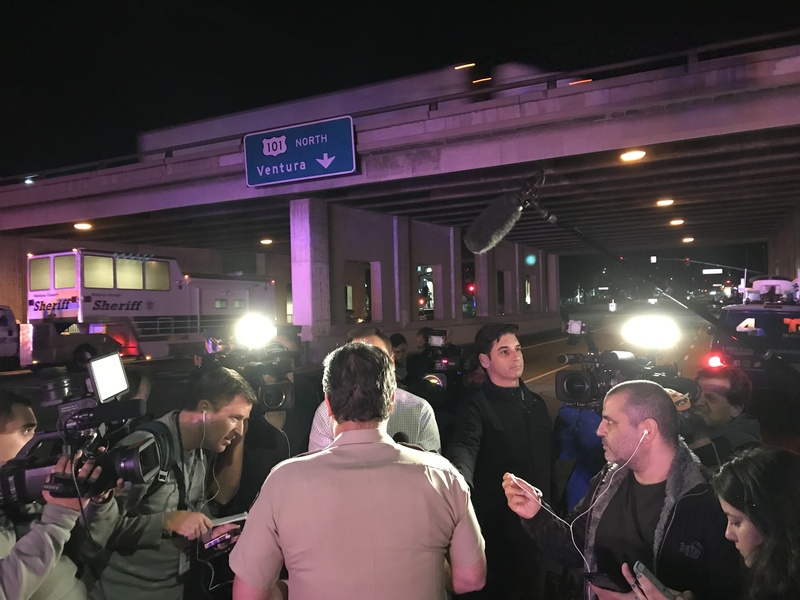 Dean said the first unit arrived on scene at approximately 11:22 p.m. and two California Highway Patrol units arrived shortly thereafter. Approximately three minutes later at 11:25 p.m., Sheriff’s and CHP made entry into the club and saw 11 injured civilians inside. Sheriff’s Sergeant Ron Helus was then shot “multiple times,” Dean said. Authorities said the gunman was dead along with the 11 other victims and that many others were injured. 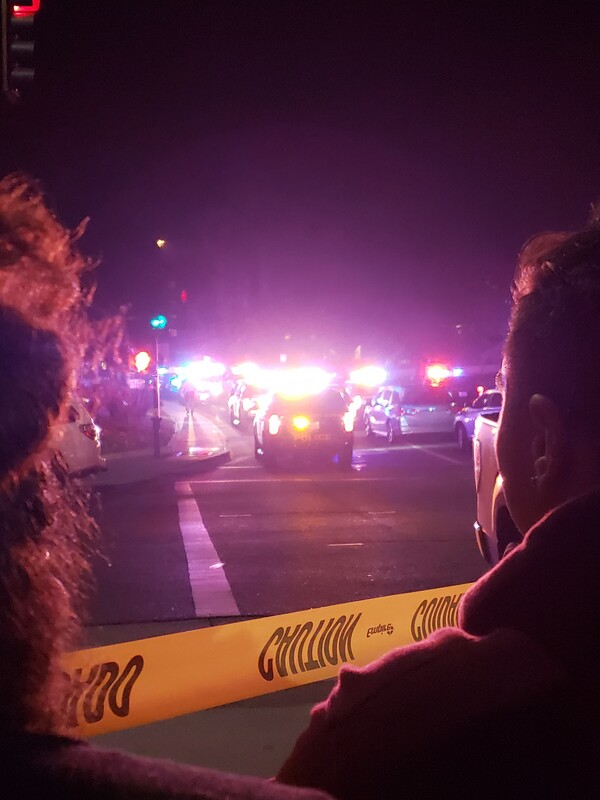 Cal Lutheran sophomore Alex Chatoff said he was at Borderline with his girlfriend when he heard gunshots “around 11:30 p.m.” Chatoff said he and his girlfriend exited the club through a window. 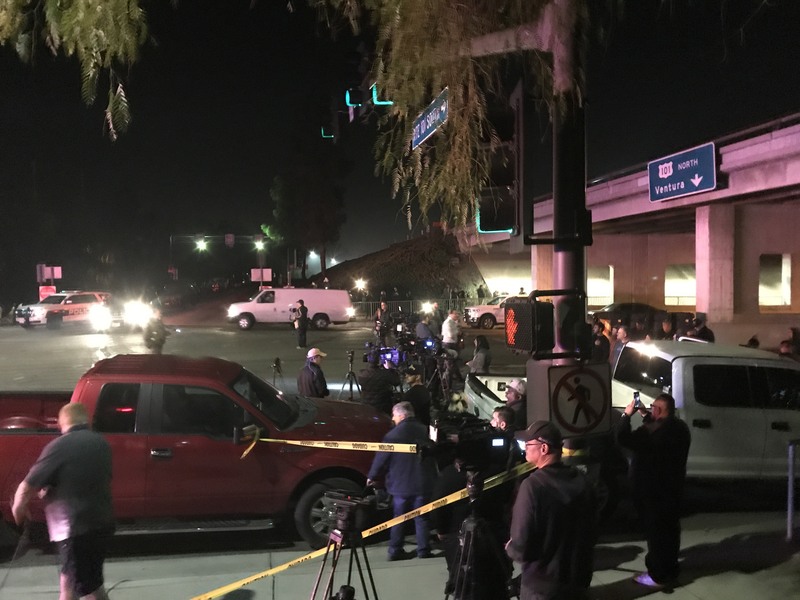 “I don’t remember if [the gunshots] stopped or not…I got the hell out of there,” Chatoff said, calling from Los Robles Hospital. “I mean I’m in shock. I feel like this is a safe neighborhood…. I have no idea how this could’ve happened,” Chatoff said. 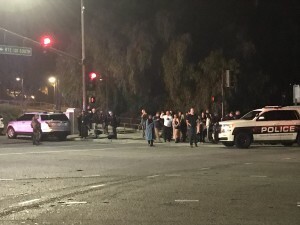 Brooke Keeling, a student at Moorpark College, said she was at Borderline celebrating a friend’s birthday with eight or nine people when she heard people yell to get down. Keeling said she saw the gunman. After being pushed out of a window, Keeling said she found her friend and ran to the nearby Shell gas station. Keeling and her friend hid in the gas station bathroom for about 10 minutes, she said. Keeling said they could still hear gunshots as they ran away from the scene. Keeling is being treated for scrapes on both knees and lacerations on her hands. “You realize you are one of the victims,” Keeling said after experiencing the nurses asking questions about the incident. Senior Ally Gaskill said she heard “multiple, repeated shots” in the club. “Everyone was screaming get down, get down,” Gaskill said. Gaskill ran from a broken window to Doghaus restaurant down Moorpark Road where she said there were about seven people waiting outside. Gaskill is at the hospital being treated for a wrist injury and said she was with several other people being seen for injuries. As of early Thursday morning, students at the hospital confirmed that multiple people were still walking in with injuries. Cal Lutheran staff including university President Chris Kimball and employees of Residence Life and Student Conduct were on the scene checking on the status of students as of 1:45 a.m. Multiple Cal Lutheran students were exiting the club around 2 a.m., including Fernan Diamese, who had an injured wrist from breaking a window and trying to get people out. Other members of the Cal Lutheran community were waiting to be reunited with friends. “It was a horrific scene in there; there was blood everywhere,” Dean said. There were initial reports of smoke bombs being used, which has not been confirmed, Dean said. A bomb squad and bomb dogs were called to sniff in the area. Dean also said one handgun was found at the scene that cannot be linked to the attack at this time. A family unification center has been set up at 1375 E. Janss Rd. and victims are encouraged to call the victim hotline at 805-465-6650. The Samuelson Chapel on campus is open for members of the community Thursday morning to gather in light of the events. Beth Turner, licensed psychologist and outreach coordinator at CAPS, said she has been in the chapel since approximately 2:30 a.m.
“This is a really scary traumatic event. There’s a lot of really normal reactions from people feeling kind of numb or dazed to people being upset, or even angry. So the biggest thing right now, following a tragedy like this, is just to seek support,” Turner said. Turner said she will be in the chapel to provide “space and support” to those affected by the events until normal office hours resume around 8 a.m. According to a Campus Safety alert sent to students, faculty and staff at 4:46 a.m., classes are canceled for Nov. 8. This article was updated at 12:18 p.m. to reflect that Justin Meek has passed away.